Every Autumn people start to get psyched for the mixed season. When the first snowflakes hit warm alpine faces speculation begins. Could it be in condition? Is that ice or just powder snow? Rare are those, whom are keen to go first and throw the dice. But when first reports of good conditions hit the internet, routes become busy. 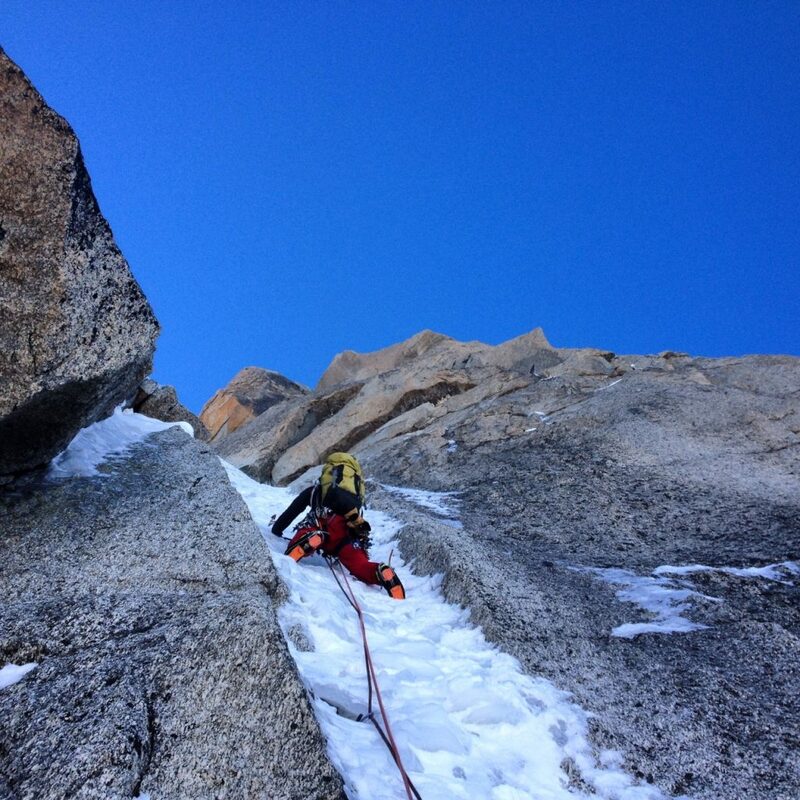 I like to climb when conditions are definitely good, but I’m also optimistic and too keen to wait for weeks. 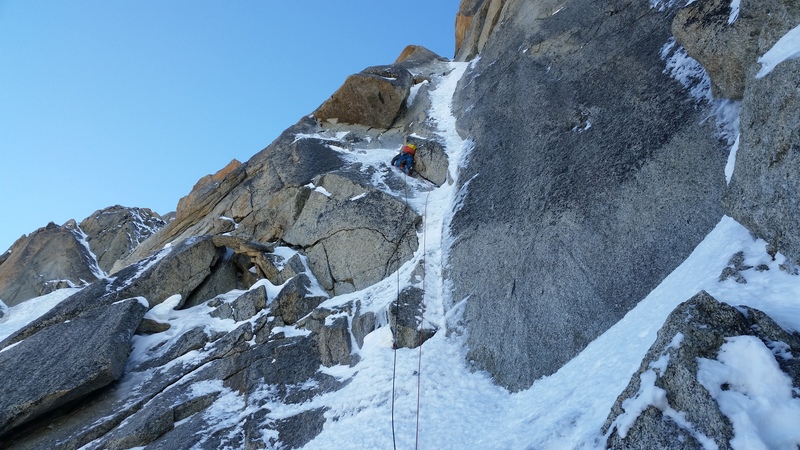 Year ago we attempted Robert Jasper’s “Late to Say I’m Sorry” (ED-, 1000m, M6, WI5+) on the N face of Grande Rocheuse, but we had to bail half way up the face. Since, this route has been on my list. 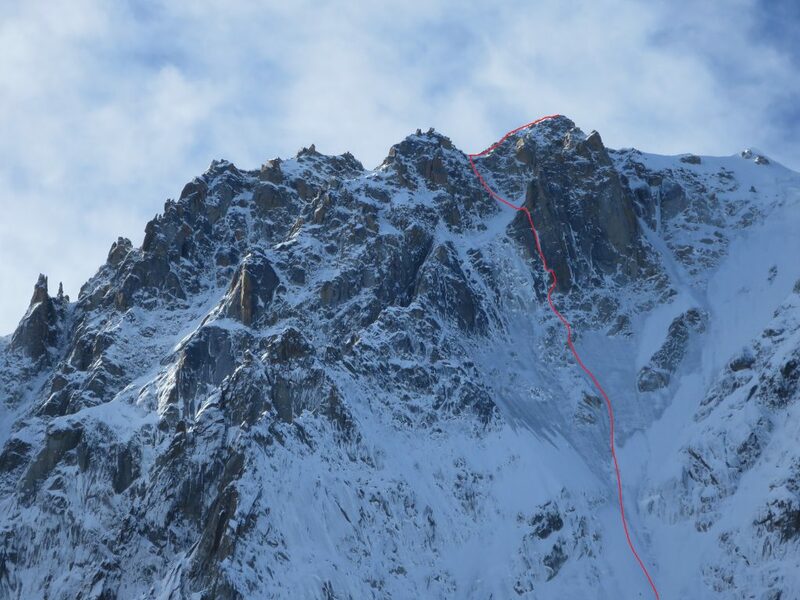 It has only six pitches of proper climbing on a 1000m face, but those six are quite committing and worth of a long day. It got plenty of attention between 2010 – 2012, due to Jon Griffits blog. 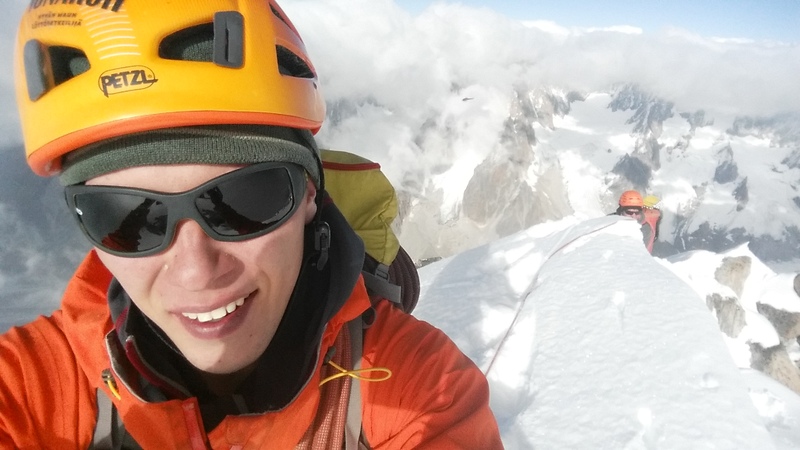 Most of the teams rapped back down after finishing the hard pitches, but that’s not alpinism. You gotta summit! 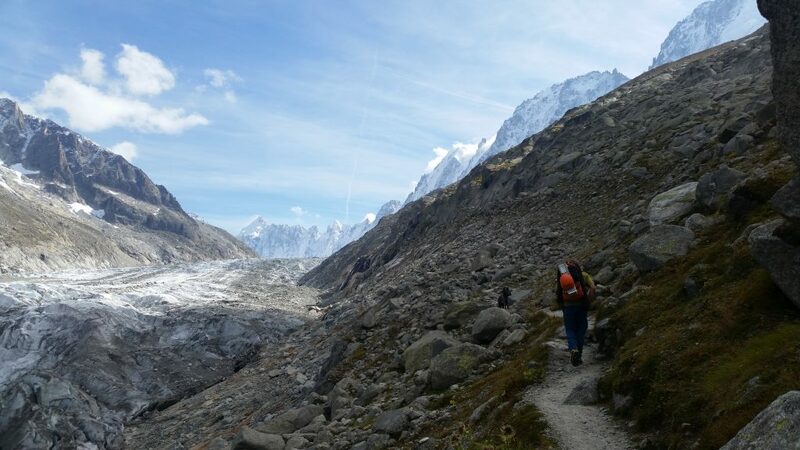 I ran up to Argentiere glacier week ago and saw the shining line of the Late to Say I’m Sorry. Three days later I went to climb it with Sami Modenius. The line of “Late to Say I´m Sorry”. Luckily Lognan’s lift was still open as it shortens the approach quite a lot. 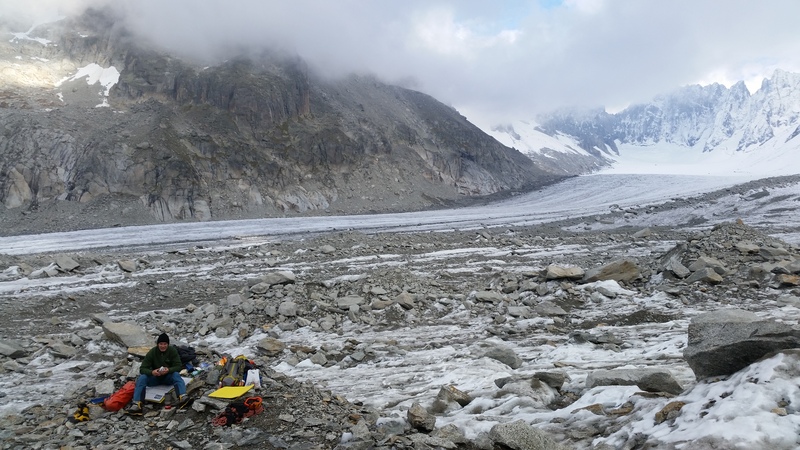 We deciced to bivouac on the glacier instead of staying at the refuge, which was open too. Relaxed evening staring our route passed by and soon it was time to wake up and start walking again. Approach was in okey nick, just 25cm of new snow, but easy to navigate in a dark. We used left-hand side approach, cause walking slowly under the Cordier’s seracs wasn’t an option. Winter on the N faces, summer on the S side. 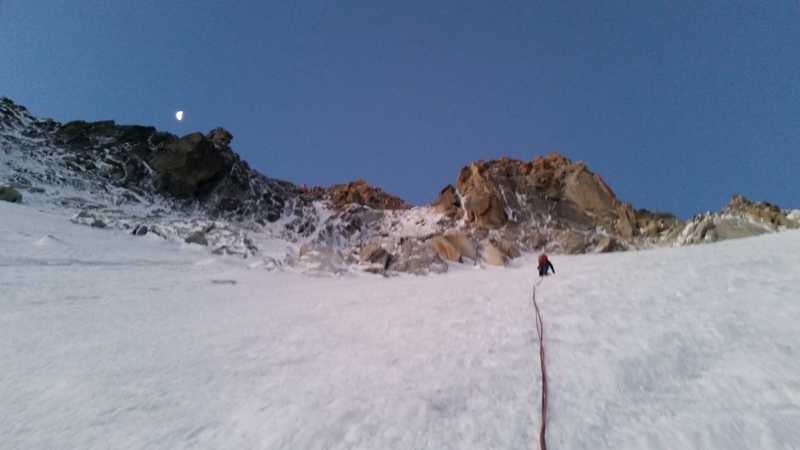 At 6am we began simul climbing the first 500m of Couturier couloir. First some snow and then suprisingly good ice. I expected more black ice, but after two hours we were already below the first pitch. Two long simul blocks led to the climbing part. Aplenglow was stunning! Two easy 60m pitches led to the crux. From afar it looked that it could be possible to avoid the roof via variation on the left, but ice was too thin to be climbed, so I had to go for the infamous roof as it was my turn to lead. The roof was easy M6, but then I had to chooce between M7 crack and steep corner with ice in the back. I went for the ice. Next ten minutes were long as I carefully balanced upwards. It was “no fall” zone due to unexisting gear. And the ice was loose. Monopoints searched tiny edges from the wall, because I couldn’t put my weight for the axes. Very intense! The pitch was one of the best I’ve done on the mountains, but lack of gear reduces the quality a bit. Sami coming up the first easy pitch. 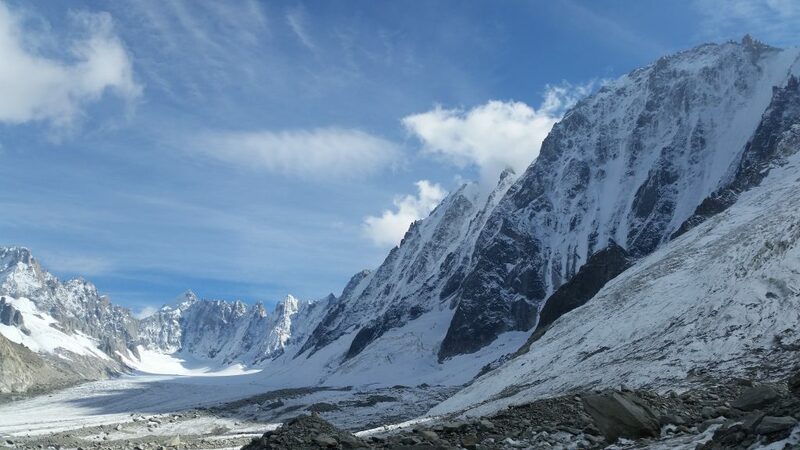 Remaining three pitches were excellent and very aesthetic ice climbing. Thin ice line middle of the blank rock face is the thing were dreams are made of. Shame it ended too fast! Thin ice also after the crux. Sami leading. Juho climbing 80° ice. 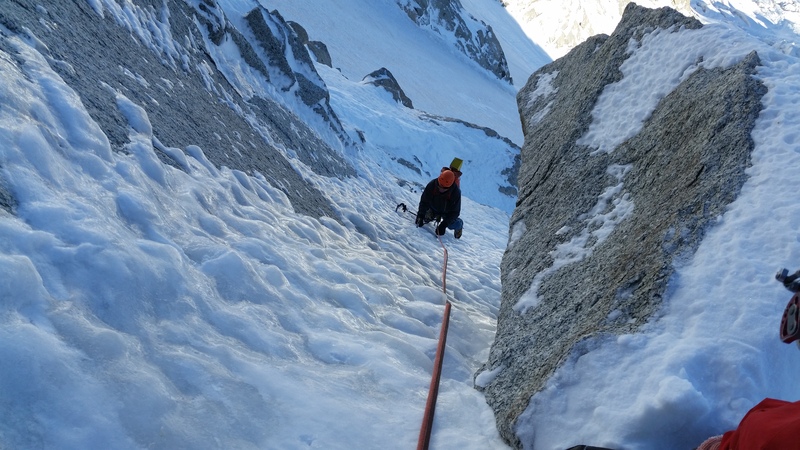 Picture: Sami M.
Last 250 meters to the summit of Grande Rocheuse were tiring and we actually had to climb two more pitches due to hard ice. Then it was only downhill to the Chamonix. Rapping the Whymper and walking all the way back to the village at night was torturing affair. Nice route all in all. Season’s on! On the summit of the Grande Rocheuse. My second time in a month.